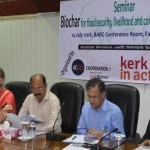 World Soil Day — Bangladesh Soils Low in Organic Matter. 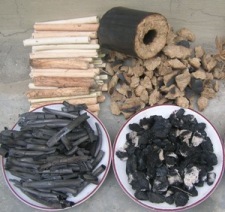 Jute stick and rice-hull briquette biochar from a gasifier cookstove produced in CCDB campus, Bangladesh on July 17, 2013. 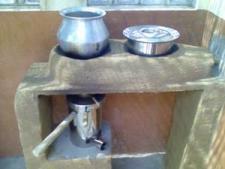 "Champion"-type gasifier cookstove made by Servals Automation, India. 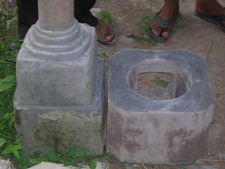 Example of local stove manufacturing: modules of an improved chula (not a gasifier) made from cement.